Only a medical professional should treat your neck pain. At Move Well MD, located in New York City’s Financial District, the team has extensive experience in accurately diagnosing the source of your neck pain and providing non-surgical relief. Call the practice or book your appointment online to get the relief you deserve today. How does Move Well MD diagnose the source of neck pain? 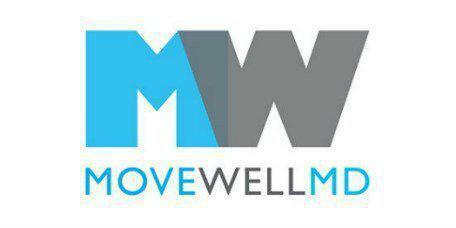 The team at Move Well MD starts with a physical examination. As part of the exam, your range of motion is evaluated and your symptoms discussed. In some cases, X-rays may also be ordered. Treatment plans at Move Well MD are always individualized and may include one or more of the following modalities. Physical rehabilitation entails a specialized exercise program designed to strengthen muscles, improve your flexibility and range of motion, and prevent re-injury. A trigger point is a knot of muscle on your body that causes intense pain or a dull ache. You may have a trigger point on your back that causes pain to your neck. The pain can worsen and affect other body parts if left untreated. The therapy consists of injecting an anesthetic such as saline or corticosteroid into your trigger point to reduce the ache. Acupuncture can effectively be used to treat isolated pain and is a very safe treatment option for chronic neck pain. When muscle knots are resulting in neck pain, massage can be employed to break up or loosen the affected area and allow for correct alignment and reduced ache and pain. Move Well MD can reduce your frequent headaches with a novel approach called an SPG (Sphenopalatine Ganglion) Block. The SPG block is done using a patented applicator to ensure proper placement. The SPG block is located just deep to the nasal mucosa posterior to the middle nasal turbinate. The SPG can be blocked by diffusion of local anesthetic through the overlying mucosa. Sensory, sympathetic and parasympathetic fibers pass through or synapse in the SPG, making it a key structure in various types of painful headaches. Temporarily blocking function of the SPG can provide prompt, and sustained relief of painful headaches and migraines. It is theorized that performing an SPG block provides sustained relief by disrupting dysfunctional neuronal activity, allowing restoration of normal function. No Sedation is required for this procedure.